Day 29 – When You Can’t Enjoy Shrimp on the Barbie! We really love the fact that people have actually been reading our wine blogs and are talking about the wines we’re enjoying and then passing on the blog to their friends. But, one of the best parts of our year’s quest to try and write about 365 different wines is trying something new every day and meeting new and interesting people in the process. Today is no different. With more rain on the horizon and a late afternoon movie on the schedule, we decided to catch a ‘late lunch’ at one of our favorite places, Outback Steak House in San Marcos. Jeff, the managing partner, and Big Jeff,the manager, came by to see us while were watching some Ryder Cup golf and Baylor vs. WVU and Texas A&M vs. Arkansas football – both exciting games, but for different reasons. 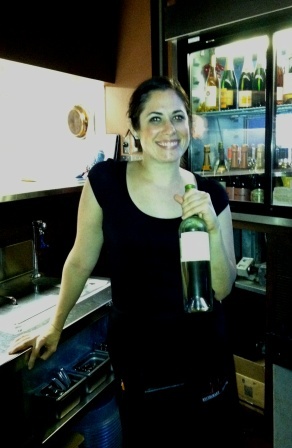 We enjoyed great service from Monica who provided us with tonight’s wine and served us some delicious, fresh ahi tuna. It turned out to be a perfect food with our wine of the night. While finishing up our late lunch we started to visit with Tom from the Dallas area who has a daughter now attending Texas State; you know, you meet some of the nicest people when you’re relaxed and enjoying a nice glass or wine or a cold beer and we’ve been fortunate to meet several at the Outback in San Marcos. In case you’ve never been there before, you not only get great Outback food, but their service is what sets them apart. We really enjoy the atmosphere and the folks who keep that atmosphere fun – especially on a rainy Saturday afternoon! It’s really cool to hear how much people love this town! It’s especially great to hear it from parents who’ve brought their freshman daughter or son to the University – they seem to understand that there is so much more to San Marcos than just a university or outlet shopping mall. San Marcos is an awesome place . . . period. While not on our original list of wines to sample, our 2009 Greg Norman Estates Cabernet Merlot was a fruity, tasty blend that surprised us with its’ body and finish. The wine had an excellent finish of black cherry, pepper and a hint of oak. Combined with our ahi tuna, the wine was a terrific complement to the food and something we’d try again. This wine is available at most wine and liquor establishments and you’ll find it well within our $20 price point. And, while Greg Norman will always be remembered on the PGA tour as “The Shark”, his wine making team is continuing to create nice wines at affordable prices – something that Australian wines have become famous for in America – an affordable, good tasting wine. Australia is one of those places that wine lovers like us would love to visit. It’s one of those places that Patrick from Grape Juice went a few years back and helped bring us into the world of Chris Ringland wines. As we watched Baylor and West Virginia shoot it out to a 70-63 final in favor of WVU and the Aggies put a hurtin’ on the Razorbacks all while the Americans were jumping to a 10-6 advantage over their European competitors in Ryder Cup golf, we realized that the Outback was a little like Cheers – not that everyone knows your name, but everyone can become friends . . . even if just for an afternoon – where shopping takes a back seat to a cold bottle of beer or a nice glass of Australian wine. Hey, Tom – we hope you’re daughter does real well at Texas State, and Monica – keep smiling and serving . . . those skills will take you far in life. 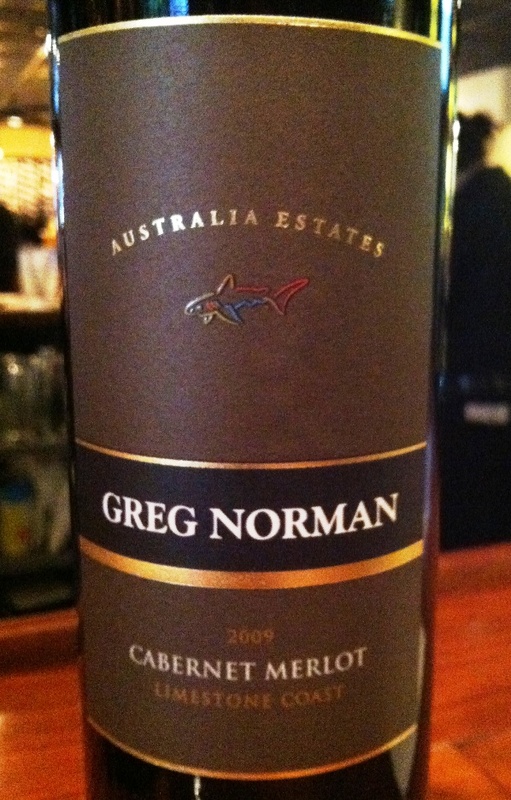 And, for anyone who may be looking to try an Australian blend with a nice finish, then the 2009 Greg Norman Estates Cab Merlot is worthy of your investment. With a rainy day winding down, it’s too wet to fire up the grill for some shrimp, so guess we’ll just have to dream of the Land Down Under until we meet again. Please remember to enjoy these wines responsibly and recycle whenever possible. 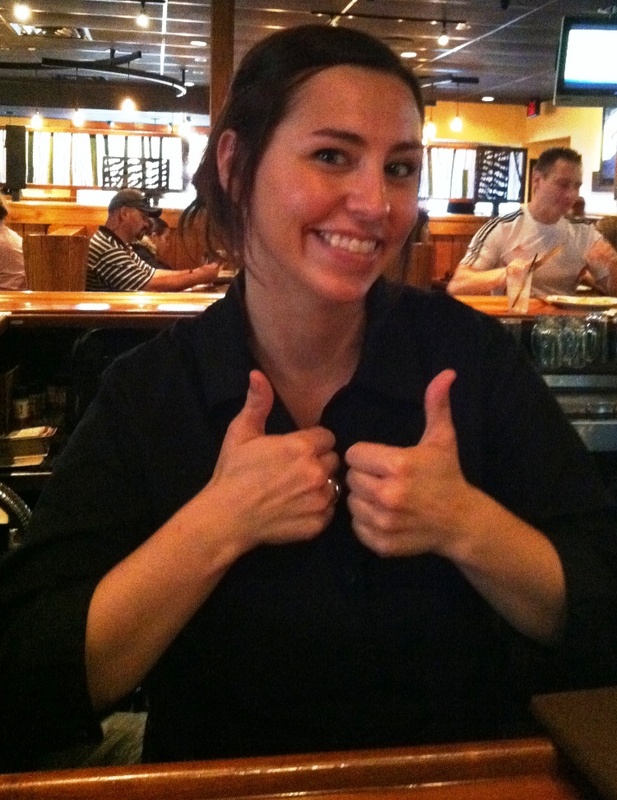 Monica – our wonderful waitress at Outback! 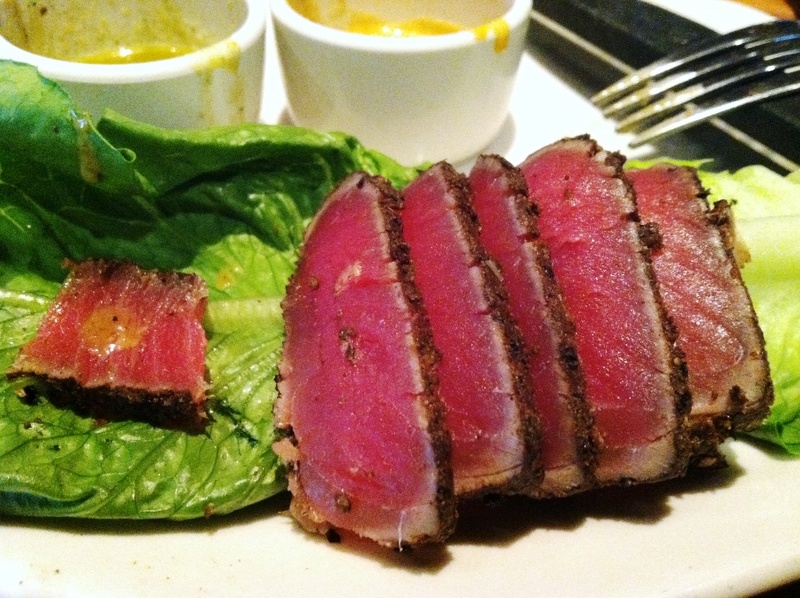 Ahi Tuna at Outback is the BEST! There are a few things that make it happen. Getting your car washed. NOT mowing the lawn. Buying tickets for an outdoor sporting event. Holding a golf tournament. . . just to name a few. Earlier this week, our cars had been covered with leaves and we’re not sure what the granular stuff was coming from the elm tree – bottom line is that both cars were disgusting. We mean it was a MESS. Every morning opening the garage door to find out another night of debris dropped from the trees that hang over the driveway. It was time to break down and get the car washed. Inside and out, they were filled with leaves and leaf by-products. What a mess. A car wash – just one of the things that is almost guaranteed to make it happen. 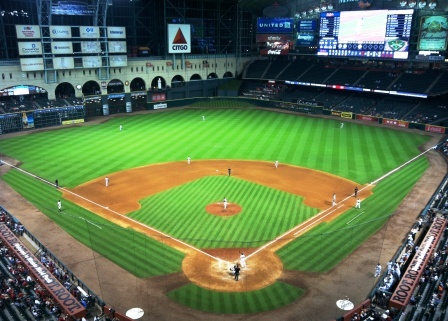 Monday night we ran (actually we drove, but ‘ran’ sounds better) to Houston to catch a baseball game between the Cardinals and the Astros – the roof of the stadium was closed so no matter what the weather was or could have been, it really didn’t matter. Today, the San Marcos Area Chamber of Commerce held its very first Grip It & Rip It Golf Classic. Last night about 9 p.m. the skies opened up around here and for the next two plus hours, we received in excess of 3 inches of rain. A lot of water to be sure and it added to the mess on the cars in the driveway at home brought down by the rain from the trees (reference the above mentioned comments). The effects of the rain were painfully evident today, both on the cars and at the golf course – no standing water, but muddy areas that until yesterday were dry patches. Today, we also had some showers before the start at Noon. The golf tournament was never in danger of it being cancelled, but you have to admit it’s kind of funny that we go months without rain, and the ONE day you hold an outdoor venue tournament, it rains. No complaints here. There is something magical about listening to rain. It’s a soothing, mellow sound even when it’s coming down hard – it’s rain! Our wine tonight is also smooth and mellow and as a higher production Cabernet, the nose and the taste are in perfect harmony with each other. 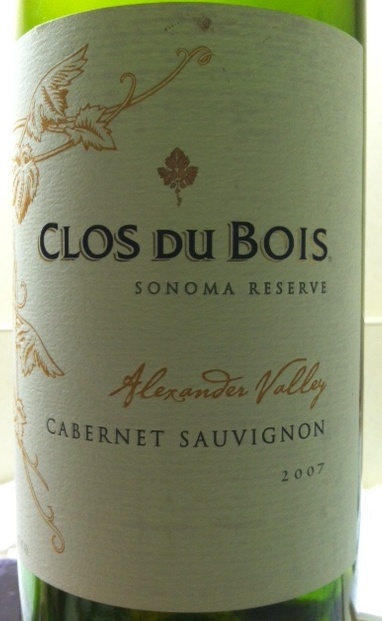 It’s a 2007 Clos du Bois Cabernet Sauvignon and it’s got body and flavor that leaves others in its’ path. In fact, the 2007 Clos du Bois Cabernet Sauvignon combines a suave structure with fruit and incredible appeal, pairing vibrant aromas of blackberry and vanilla with deeper notes of roasted coffee and toast on the nose. Full-bodied and forward on the palate, the wine offers well-integrated flavors of black fruits, plum, mocha and clove spice before a long, mouth-filling finish that wraps up with cassis and toast. We couldn’t agree more! 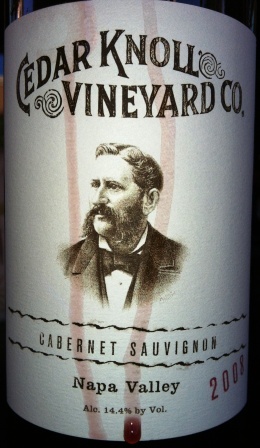 We just plain liked this Cab – and at less than $20 a bottle, you get taste, value and depth for a great price. The 2007 is the one you want as subsequent years haven’t quite lived up to the quality of the 2007 vintage. We’ve seen this wine at most establishments for $17-$19 a bottle and when it goes on special, it’s a real treat. Having a wine like this on a rainy night is the perfect way to wrap up another work week. With a successful golf tournament under our belt and a projected weekend of rain, we’re glad to have found such a great value wine. As your weekend unfolds, give this wine a shot – you’ll be pleasantly surprised. Day 27: Days Like This . . . Given the way the day unfolded for Jean, the wake up song on the radio should have been “Momma Said” by The Shirelles. (For the record, the words to this song were actually written by Van Morrison and go “My Momma said there’d be days like this, there’d be days like this my Momma said”). Regardless of who wrote what, the words rang true today in many ways. The traffic report had given forewarning that Jean’s daily commute to Austin would take a tad bit longer due to a gasoline truck turned over on 35 N, south of Austin but north of Buda – directly in Jean’s path. So, into the car she jumped (taking a banana and a bottle of water just in case – it’s the Girl Scout training . . . be prepared!). The first 3 miles heading out of San Marcos were business as usual – then BAMN . . . standstill – what is normally a 9 minute drive to Buda took well over an hour. It was entertaining to see people passing the time in their cars – reading the newspaper, on their phones, and even enjoying a hard back book (should remember to stash one under the seat for times like this). She was able to sneak over to the tollway and battle traffic there before arriving at the office more than 2 hours after leaving home. Thankfully, a kind co-worker had brought her a breakfast taco to renew her strength (thank you Misty). She had about 20 minutes in the office before heading out to an offsite meeting that was scheduled to last until 2 p.m. Meeting went great and back to her car she went in anticipation of driving back to the office to get some work done (oh, by the way, meeting ran late and now it’s almost 3 p.m.). No problem – back to the office in 15 and can finally attack the stack on her desk. Passenger secured, seat belt fastened, key in ignition . . . what is that clicking noise? That doesn’t sound like the car starting, hmmmm? Yup, we are talking dead battery 101. Fortunately, the meeting presenters where still around and one (Thank you Lisa!) took passenger back to the office while the other pulled out her trusty “Emergency Road Kit” (complete with very cool bright orange pop up warning sign – since we were just in a parking lot we didn’t execute that, but were certainly tempted). Yes, Cheryl saved the day – the jump finally took hold after a couple of tries and Jean headed due south to purchase a new battery. Andrew at Sur-Powr Battery Supply was a knight in shining armor, got all taken care of in short order and Jean got a hug to end the purchase – what a deal! So, getting home about an hour earlier than usual was a treat for Jean, and given the 3-Ring Circus kind of day she had, made tonight’s wine choice every so easy. 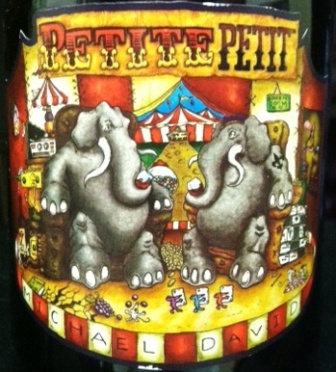 As we like to call it – The Circus Wine, given the wonderful label – Michael David’s Petite Petit is no doubt one of the all time favorites in this house. Now, this wine is young, but delicious – we have always liked Petite Petit . . . and this bottle is no different. Big, bold smokey, and lots of vanilla on the nose . . . fruit forward and lots of berries. Really, this wine is just plain perfect. We could enjoy it on the deck with a fire in the pit or, like in tonight, with some spicy, stir-fried chicken (free range, of course) with vegetables. You just can’t go wrong serving this wine to friends, or guests at a dinner party. The price is perfect, $13 – $15 a bottle, depending on where you purchase. You can find it at Grape Juice, Gabriels, HEB, Twin and a quaint little place know as “The Big Red Wine Cabinet” (this is a hard place to gain access to, unless you know the right people – more on this special place later). We’ve talked about this winemaker before; Michael David makes some of our favorite, big, delicious wines. All of them can stand on their own or be enjoyed with friends, and equally, all of them can be enjoyed with food. We’ve had this bottle of wine for a while and we were looking for the right time to break it out, and tonight was the night . . . we hope you’ll try this wine. If you like vanilla and oak combined with fruit and finish, this is your wine. The ONLY time we get upset is when we run out of this wine! Please remember to enjoy this wine responsibly and recycle whenever possible. Day 26: Moon River . . . Growing up in the 1960’s and early 1970’s, we only had black and white television sets . . . which really wasn’t a problem because everything on television was IN black and white! In Brian’s case, the television set was in the lower level, or the basement, and his parents rarely, if ever,watched television. Jean’s Mom was an artist, and when complained to by her children that “everyone else has a color TV”, painted the B&W set orange – gotta love Margaret! Occasionally, Brian’s Dad would watch an old war movie when he knew it was going to be on – Von Ryan’s Express was one of his favorite (extra 10 points to who can name the singer who was in this movie!). At Christmastime, this would change because an Andy Williams Christmas Special was just that – SPECIAL! Watching those shows even though they had been taped (yes, TAPED!) months earlier – you could feel Christmas in the air. Every Christmas Carol sung brought you that much closer to the “big day!” It was the perfect Christmas gathering with Andy Williams and all of his family gathering around a big ole’ Christmas tree for the final song of the night. It was, in one word, magical! As icons go, Andy Williams best days were a long, long time ago. For the past dozen or so years, he owned and operated the Andy Williams Moon River Theater in world-famous Branson, Missouri. Thirteen years in Missouri and we NEVER went to Branson! All of this being said, it’s still a loss when one of the true ‘voices’ of the past is lost. He was and is a part of Americana that a lot of us still remember. His songs rarely made the Top 40; he was a square to the older part of the baby boom generation, who at the time could only focus on newer, ‘hipper’ performers and not a crooner from their parents’ generation. We both have fond memories of Andy Williams songs being played in our houses. Losing a guy like Andy Williams is kind of like losing your next door neighbor. Yeah, you know what we’re talking about, he’s always there – day after day, week after week, month after month and year after year. You’re so used to having him around that you forget that he’s still around – until he’s gone. Did you know that it was Andy Williams who introduced us to The Osmond Family? We can still remember watching them when they were kids – man, time sure does fly!! We thought it would be appropriate to find a wine that had some or all of the titles to Andy’s most remembered songs in its’ name. Unfortunately, we didn’t have any Moon River wine. Actually, we’ve never heard of Moon River wine, so we did the next best thing. We found a wine that was as smooth and silky as Andy’s voice. Tonight’s wine, and we’ll be visiting this winery next month ( one of our all time favorites!! 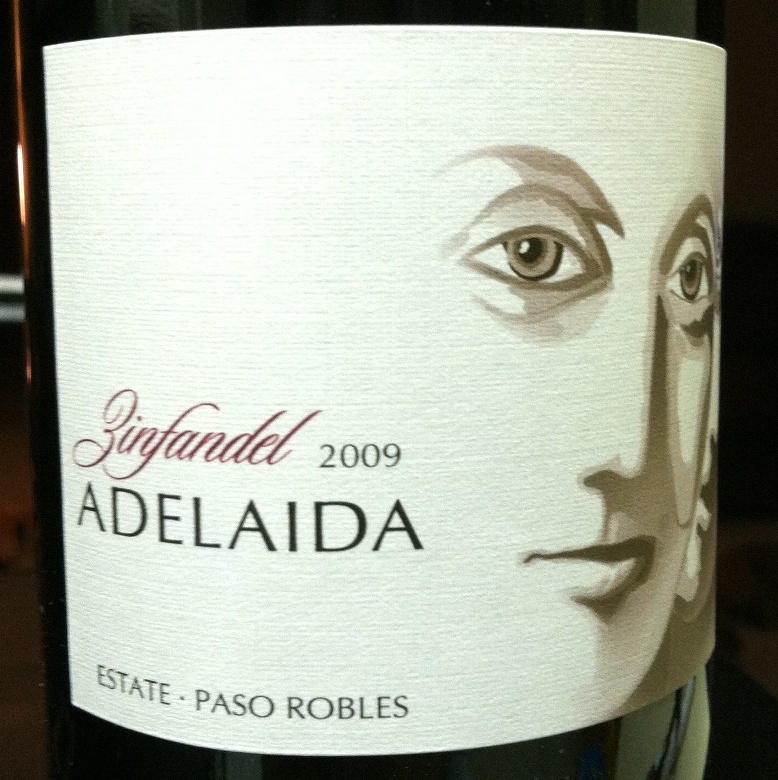 ), is a 2009 Adelaida Zinfandel. It’s so smooth, we sounded as good as Andy Williams! It’s so silky, we looked like Andy Williams (not really). FYI – the folks at Adelaida in Paso Robles, California know A LOT about winemaking . . . between their Zinfandels and their Cabernet Sauvignon, they’ve won numerous tasting awards, but our favorite is still their Schoolhouse Cab (ah, yet another post in the making). Anyway, back to the 2009 Zinfandel – this is a really smooth bottle of wine and we can only imagine that it will get better over the next two to three years. It’s really quite simple what makes this wine so great – it’s got all of your necessary elements for a good zin including vanilla on the nose and a lot of fruit in between. It’s the kind of wine you can enjoy under a moon lit sky on the river (wider than a mile). So, you may not even know who Andy Williams was – in that case, use Google and look him up. If you remember who he was, and you have one or two memories, then raise a glass for one of the real crooners from the 60’s – they DON’T make ’em like Andy Williams anymore. Enjoy this wine – enjoy his music and remember that life is too short to not enjoy a couple of the finer things. Until tomorrow, cheers and God Bless Andy Williams. Please remember to enjoy responsibly and recycle whenever possible. Day 25 – Catch of the Day . . .
Last month, we had the privilege of joining our good friends, and former neighbors, on a fishing trip down in Aransas Pass. Fishing in this area usually means redfish, trout and maybe an occasional shark. On this particular weekend, we were given the opportunity to go offshore with the awesome, 55 foot boat–appropriately named Happy Hour. As offshore trips go, the summer time is typically the best with regards to lower tides and less rockin’. This weekend, the seas were supposed to be no more than 1-2 feet, which even for the queasiest of stomachs is a tolerable level. The thought of catch Ling, Wahoo, Shark and Sailfish was alluring to be sure, and the sheer beauty of the weather made the decision to switch from bay fishing to offshore fishing all the easier. Now, one of the down sides to offshore fishing is that you HAVE to get up earlier than most people understand – we’re talking 5:15 a.m. on a Saturday morning? Really? After the initial rush of adrenaline fades away, we are on a boat for, roughly, the next two to two and a half hours. We go from stark to light and the rise of the sun – we go from a smooth ride on top of the water to a rough ride with the increase in winds. Upon arriving at a spot – literally in the middle of nowhere – the boat all of a sudden loses power and the captain, the owner, and crew are scurrying about to the engine room. A fuel filter is busted, and diesel is spewing all over the engine room. If you’ve never been in close or confined quarters and had the opportunity of inhaling diesel fumes – DON’T. It is probably one of the nastiest, most caustic and nauseating smells your schnoze is ever going to deal with in a closed cabin. When members of the crew start losing it, you know it’s NOT GOOD. To magnify the problem, the 1-2 foot seas that had been predicted, turned into 4-5 seas with a stiff breeze. SO, you factor in the obnoxious odor of diesel fuel combined with the pitch and roll effect of stronger than anticipated winds and you get a situation that is not necessarily good for fishing. However, this trip was to be an incredible adventure. Between Jean, Brian and daughter #1, and thanks to a tenacious crew who obviously knew the waters like the back of their hands, we caught and released – not one, not two, not three . . . but FOUR sailfish! The rush of sitting in the chair holding the fishing rod and watching this magnificent fish jump out of the water three times – whew – it makes us want to go and do it again! In addition to the beautiful sailfish, a wahoo and two dorado were caught. All three of them make for good eating . . . which brings us to tonight’s post. A trip like that, with unexpected consequences, was the perfect background for one of our favorite wines from Australia first introduced to us back when Grape Juice was a little shop in Ingram, Texas! Patrick Wilt, a graduate of Stephen F. Austin State University, (axe ’em Jacks!) and his wife, Keri (also a graduate of Stephen F. Austin State University – axe ’em, again, Jacks) opened Grape Juice and began to teach the Hill Country about wines. They have done, and continue to do, this exceptionally well. Tonight’s wine was is, and always will be, one of our ALL TIME FAVORITES! Fresh from the land down under is the 2010 Ball Buster! It’s a blend of Shiraz, Cabernet Sauvignon and Merlot – and it’s BIG, no we mean REALLY BIG! Each year we try it and it’s always BIG, DELICIOUS, A FRUIT BOMB! There is something about a wine that is thick and juicy but stands up to a really nice piece of grilled dorado from off the the coast of Texas. The smooth vanilla notes are just all the way to the right finish to this gem. Add in some sauted vegetables and you have a perfect combination for enjoying good food with really good wine (which is what it’s all about). Priced around $15 a bottle, it’s a bargain and a perfect everyday wine – dinner time or deck time – it’s the right choice. We aren’t going to bore you with tasting notes and all sorts of mumbo-jumbo because the simple fact is – if you try no other wine in the 365 wines we’ll review, then this one MUST be at the top of your list. It’s that GOOD, and after all, Patrick isn’t going to steer us in the wrong direction – he hasn’t yet. So, go out there and do some fishing because really nothing tastes better than fresh fish – ESPECIALLY, when it is accompanied by a great wine. Enjoy this one responsibly and please remember to recycle whenever possible. Ever since our girls went off to college, friends and family alike have accused us of being empty nesters and spontaneous. Well, time to bust these myths apart. One, we are not empty nesters – just because the girls are not under our roof 24/7, they are still very much still on “the payroll”. We prefer to think of ourselves as “empty bedroomers”. True one room now belongs to Pepper, Andie and Jasmine and the other is more of a guest room – but indeed we love it when the girls are here for a short or extended visit and they are always welcome. Add, most importantly, we will keep them on the payroll as long as need be. Two: We have been spontaneous long before now. We have been known to drive straight through to Denver from St. Louis at the last minute to attend a godson’s First Communion. The reaction of sister Sharon was priceless – opened the door, screamed then slammed the door (no worries, she recovered and reopened the door to welcome us with open arms). The next day we did the reverse after Mass and arrived home around 1 a.m. – but were both on time for work the next day. We’ve been known to drive to Houston on a whim to see our beloved Cardinals play the Astros; going to the beach for the afternoon (and of course getting shrimp while there); getting up one weekend morning and deciding that it was a good day to drive 3 plus hours to take daughter #1 to lunch, or even leaving work at noon to drive four hours to have dinner with a friend that just received not so good health news and be back before midnight – hopefully you get the picture that we believe in the immortal words spoken by Robin Williams character in “Dead Poets Society” – Carpe Diem! So seize the day like we did when we opened a bottle of Cedar Knoll Vineyard Company 2008 Cabernet Sauvignon from Napa. The wine was BIG, BOLD and BEAUTIFUL! Lots of vanilla on the nose (reminds Jean of a story she heard at work today about a lady who blogs about vanilla – apparently there are big differences . . . who knew?). Ok, back to the wine – let’s start with the color – dark burgundy, almost inky in consistency (there’s a little sample on the label in the photo above). As mentioned, the nose was big vanilla, but that didn’t translate to the taste buds, also a sniff of spice could be detected – the oak was toasty and very noticeable on the nose as well. The taste was a big as Texas, and that’s big! A combination of Black Cherry, Anise, Lavender, Pepper, Oak and a smooth earthy finish were found in our glasses. The finish was long and just like the Energizer Bunny , it just kept going and going. This is a wine that goes well with beef, pork or even a nice piece of Salmon cooked on an alder or cedar plank on the grill. Toss in some roasted vegetables or grilled romaine and you’ve got a meal to beat the band. The price point is one that won’t break the bank, but will impress others with your knowledge of a really good bottle of wine, and you will enjoy it to the last drop. Enjoy your night and remember to be spontaneous from time to time – it keeps one young and unpredictable. By the way, sorry this is late – we were off being “spontaneous” – see photo below (Marie, we had an angel along for the ride – and the good guys won). Remember to enjoy responsibly and recycle whenever possible. Day 23: Brian and Jean’s Excellent Adventure . . .
Not to be outdone, Brian called for a Cab – three of them to be exact! He sampled a 2010Hahn Cabernet Sauvignon followed by a 2009 Freemark Abbey Cabernet Sauvignon and wrapped it up with a 2009 Mount Veeder Cabernet Sauvignon – all from California and each with distinctive aromas and tastes. But, that is not all wine friends . 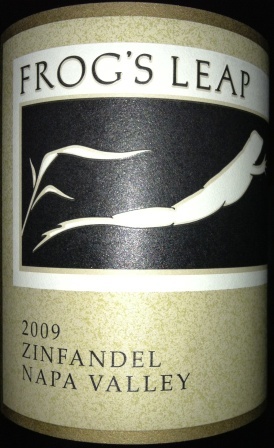 . .
We got into our ‘time travel phone booth’ and proceeded to open and enjoy a Frogs Leap 2009 Zinfandel. We think we may have found the key to saving the civilized world! This Zin was GOOD, not just good – we mean really, amazingly GOOD! The second you put your nose to the glass, you’ll be reminded why you love Zinfandels in the first place, oh, the pepper and spice – it was a ‘most delicious thing’ (air guitar, please). Following the nose, we sipped the first taste of this full-bodied Zin and got lots of jammy fruit with a long finish and soft tannins. Adding to the experience, a snack of hummus and flatbread – fortunately the hummus had a little ‘kick’ which only helped the wine taste even better. We agreed that this wine would be even BETTER with a rack of mesquite smoked ribs or even some spice Kung Pao Chicken! Even with the hummus, the flavor of the wine was intensified bringing out the black cherry, currants and leather on the finish. This is a really good Zinfandel, and although it’s price point is higher than our normal blog pricing, if you’re in the mood to treat yourself or splurge on something different, then the 2009 Frogs Leap Zinfandel is yours for the asking. 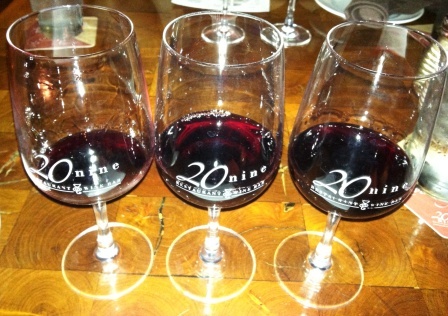 We really liked and recommend that you try out 20nine in San Antonio’s The Quarry Shopping Center. This trendy locale is also home to Max’s Wine Dive and coming soon is a new Trader Joe’s – so you know you’re going to be in good company! One of the things about 20nine is the wall art is ALL WINE; very tasteful maps of wine locations around the globe combined with really cool curtains, lighting and an awesome floor design. Their prices are right in range with what you’d expect from a top quality wine bar and the food menu has much more than your average ‘pub grub’. It’s pretty obvious this place has been well thought out and wants to be known for offering great wines from all over! If you get a chance to go, we suggest you ask for Sarah. It’s like this . . . if you’re going to try a new place, you might as well ask for a server that’s been recommended by your friends at bjwine365.com. It’s our hope that at least one piece of good information about wines or places to enjoy wines gets into your hands over the next year! As we set our sights on the week ahead, we hope you’ll try some of the wines we’ve recommended. Whether you buy them at 20nine in San Antonio, Twin Liquors in San Marcos or Grape Juice in Kerrville (or any where in between), we hope that you’ll take a most excellent adventure with wines that you love! Have a great Monday and we’ll be back tomorrow with another sampling. Sarah made our first visit to 20nine a most excellent adventure – we will return!